A link was shared recently to Haaretz documenting the anti-semitic remarks of Cardinal Maradiaga concerning the 'Jewish media' and the 'whipping up' of the abuse crisis in the Church from early 2013. A little while before ++ Maradiaga's 'it was the Jews' diversion, I recall Cardinal Sodano suggesting, publicly, to Pope Benedict XVI that the abuse crisis was a kind of manufactured phenomenom attended by the 'feigned' outrage of media. 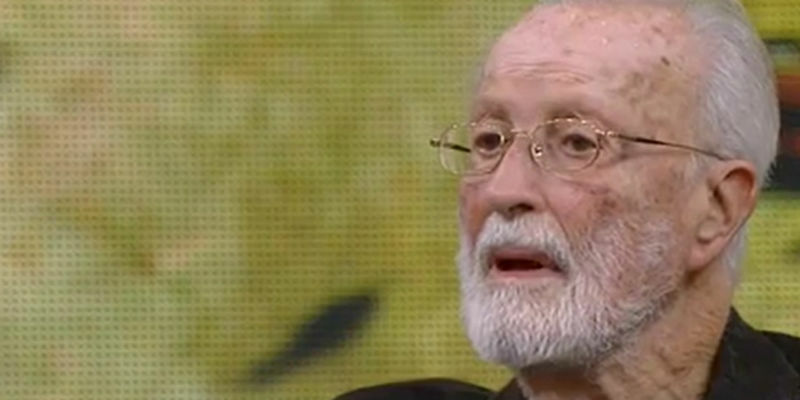 I think he had intended these words to be a form of consolation to the then Pope (after all we know what a loyal a creature ++ Sodano is) but one could tell from Benedict XVI's face what he thought of ++Sodano's words: 'You're not helping.' Such were the kind of men hovering around Benedict XVI. I think Cardinal Bertone (what is he up to nowadays?) called the Vatican a nest of 'crows and vipers', or something such like. Many of us, at that time, had no idea what kind of persons were such individuals as ++ Maradiaga. We have a little more insight into, at least, ++Maradiaga's mad-cap world now. What an obsure figure he was before Francis! But then we have more insight into the worlds of many Cardinals now and, of course, that's all thanks to the light-bearer-in-chief, Pope Francis as well, for it is he who has thrust such men as ++Maradiaga into the spotlight, but not only ++Maradiaga. Thanks to Pope Francis, we now know the identities of all the villains and 'wolves' who had little/no interior faith but pretended to do so every now and then so as not to give the game away while the Pope was Catholic and the CDF was a thing. Useful to know should God give us another conclave. Just think of the figures that Catholics following events now know a great deal more about, those Cardinals and Bishops who are active in supporting the demolition job now under way as well as those who have fallen utterly silent. For this reason, looking at that report from 2013 from Haaretz, the photo-collection of potential 'frontrunners' and candidates for the 2013 conclave is fascinating to view in hindsight - after five years of devastation - and in a way it is consoling to view, because almost all of the men that the website put forth as potential Popes at that time have fully revealed their fidelity, or rather their infidelity or their indifference to, or even hatred for, the divine Faith during the reign of this Pope. Had it not been Pope Francis who had won the conclave, it could well have been one of them and how would that have gone? Better, perhaps, but perhaps not much! This man helped to draft the Catechism and now rejects it. Cardinal Maradiaga was listed by Haaretz as a candidate for the 2013 conclave along with ++Schonborn, ++Tagle, and a host of other acolytes for Amoris Laetitia. We didn't know it at the time, but as it turned out ++Maradiaga may have had enough cash in 2013 to buy the papacy for himself or his friend or himself and his friends, just like Cardinals did in the good ol' days! Perhaps ++Scola would have been a 'safe pair of hands', but really, who knows? Many Cardinals have gone awfully quiet during the time of the devastator. Now that the devastator has, with all his pomp, vanity and empty show turned up to the fanfare of the world, those who still ask for 'clarity' will be waiting for a long time, while those who have eyes to see and ears to hear have all the clarity they could possibly require from Pope Francis. That's as true for Austen Ivereigh as it is for Ann Barnhardt. What is that clarity? It is this: decide now who you shall follow, Jesus Christ or His adversary working stealthily through His unbelieving, dupicitous Vicar on Earth. Choose now who you shall believe, Jesus Christ and His Gospel or Pope Francis and his contradictory secular mush. There. Now that is clarity. It may be apocalyptic clarity, but its still clarity. Let's not pretend that you and I know more than his long-time friend, Eugenio Scalfari, about Pope Francis's 'real' beliefs, or that Pope Francis has telephoned you or I rather than a strange nun who claims he told her artificial contraception is okay in 'these' circumstances. If the Pope cared for souls he would correct these people himself and if these persons thought the Pope cared for souls, they would not dream of crediting to him words which were not his. They are entitled to their good names. They are only the messengers of the Pope. If they were liars, or if their messages were contrary to the will of the Pope, I think the Pope would call them out on that himself, just like he did (not) Msgr Vigano. IT IS TIME TO STOP BEING SHOCKED. For what purpose does our shock and incredulity serve but to give to the innovators the satisfaction of seeing us throwing our arms up in the air helplessly? We have had five years of this insanity. Under Francis, scandal, apostasy, doubt, infidelity, sacrilege, insult, dissembling, ambiguity, confusion, dishonesty, sexual immorality in the Vatican, betrayal, abuse cover-up, corruption, deception, financial scandal, blasphemy and insanity constitute the new normal. These things are now normal. Indeed, these things are the lifeblood of his pontificate, since you cannot achieve Francis's goals while presenting yourself as a WonderPope who is destroying everything (but nothing is really changing, honest! ), without many of these things, especially if your pontificate requires evil people to carry out an evil plan, because only evil people carry out evil plans. Those who refuse to co-operate with evil are, in this pontificate, swiftly shown the door or are publicly derided by some minion or other. Don't shoot the messenger. Eugenio Scalfari. It is important that we stop being 'shocked' for the sake of our own psychological and spiritual health but that we keep praying for the cleansing and spiritual renewal of the Church, in whatever manner God chooses to do this. Quite frankly, I think that men with such atheist leanings as Pope Francis and Eugenio Scalfari (birds of a feather), friends and collaborators that they clearly are, get off on undermining the Faith of the Catholic Church, the faith of Her members, on Good Friday, at the most sacred time of the year. Can we not just assume, after five years, that if Francis wanted to teach the faith and save souls he would do so and that if he teaches things contrary to the Faith by whatever means he chooses to do so, then that is precisely what he wants to do? That is not to say that the whole pontificate is not a living nightmare, but if there is one thing more painful than a devastator Pope and that is to endure the utter silence from almost the entire college of Cardinals in the wake of the destruction that the devastator Pope is launching on the Church. Yet, even this is in a sense helpful, because we now know the reality of the situation of the Catholic Church in the 21st century. By now we know who is for Christ and who is against Him. God knows the hearts of those who are silent, but their silence speaks volumes. The devastator has already revealed the true thoughts of many bad and heretical Cardinals and Bishops and brought them out into the open to be paraded like a float of flamboyant characters at a gay pride parade before the whole Church. We hardly knew anything about these figures until Francis came along and tore off their masks. And yes, many of these characters are, similarly, utterly shameless, even when they are paraded naked. He has also brought out in stark relief the faith and integrity of good Cardinals and Bishops who are loyal to Jesus Christ and to His Gospel. His is a double-edged sword, indeed! As today's report from Germany tells us, and as the latest Cardinal Burke interview tells us, some prelates will defend the Faith of the Church even when the devastator does his worst. Others will follow the devastator to ruin. All of this is prophecised. Some will be honoured and given eternal glory. Others will enjoy everlasting shame and contempt. Francis is not the Last Judgement, no, but it looks rather like he's going to be a helpful prelude to the real thing when it comes, helping people to decide henceforth whom they shall serve and for whom they will teach, speak and lead others to worship: Christ or Antichrist. That's the clarity that Francis has brought. Where Christ and His Gospel will lead us. Where Pope Francis and his anti-Gospel will lead us. Happy Easter to all readers. You paint a picture of decay at the centre, but how are things closer to home, outside the protected bubble of your own parish where you are fortunate to have a parish priest who is all that a parish priest should be? He will not be there for ever. What do you think will happen when his successor arrives? 75% of priests would undo his two decades of good work in as many weeks. What then? Physiocrat.In answer to your question of what to do if deprived of a Good Priest.Find Tradition even if it means you have to travel.I have, and my Catholic Life has been sustained immensely.Latin Mass,Traditional Orders will survive while The Conciliar Church fades into insignificance. I was in London visiting Catholic friends who were formerly very committed, but the nearest church where Tradition is to be found is the Oratory, which is an hour and a half each way. The local parish church being beyond dreadful, and having family duties, their practice of the faith fell off. There is, however, Tradition to be found in that part of London - there are several Greek church close by, so on the occasion of my visit, we went to one of those instead and experienced all the Tradition anyone could wish for. My local parish priest warned me that they are heretical on account of their lack of dogma about Original Sin, Purgatory, Indulgencies and the Immaculate Conception (he did not mention Filioque or the Papacy), but on that basis the whole of Christianity before 1054 was heretical. It is deplorable and tragic that Physiocrat's friends found their local Catholic church so wanting in faith, teaching and holiness. One hopes that Vincent Nichols is looking into these matters, and that unlike his predecessors, he will act boldly and with full authority. If he does not, then matters will go from bad to worse. In that case, Cardinal Nichols will be remembered as just another time-server in 'the Church of Nice', to quote Michael Voris. The Eastern Orthodox Church does have a different view of original sin etc. But it does not follow that prior to the Schism of 1054, all Christendom was heretical. How could that be, Physiocrat? Church councils debated all these issues in depth. Without getting bogged down in neo-scholasticism and neo-Palamism, we can say that Eastern Orthodox tended to reject Augustine, and had little use for Aquinas. This meant that Latin and Greek Christianity drifted further and further away from each other. 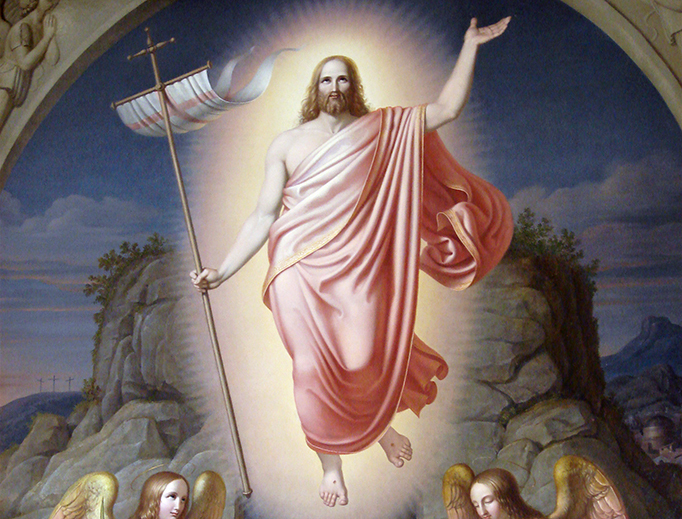 The robe of Christ was torn. Orthodox sees the papacy in terms of 'primus inter pares'; this puts them outside the dogma of the pope's infallibility as expressed in the First Vatican Council. John Henry Newman as we all know did not think papal infallibility needed to be set down in such hard terms. Pope John Paul II visited Romania, the first pope (I think) to pray in an Eastern Orthodox church since the Schism. John Paul talked about the church 'breathing with two longs', Latin and Greek. The mystical experience of God, 'theoria' is very much an Orthodox tradition. In what sense this differs from the mystical tradition of our Catholic saints is beyond my understanding. My next project will be to read Vladimir Lossky (1903-1956) and other Orthodox theologians. The fact that Christianity grew rapidly in the Greek world (and that the Greek world possessed real genius in its understanding of the faith) confirms the truth of John Paul's insight - we need that second lung. The fall of Constantinople was, as every schoolboy knows, a disaster for Christendom. W.B. Yeats (an esoteric pagan) wrote two great poems on Byzantium. Much advance on the healing of the Schism was made under John Paul's papacy. Pope Benedict XIV, the best theologian to occupy the chair of Peter in many centuries, continued to make progress. Perhaps greater advance would have been made if Pope Benedict had not had to deal with so much internal corruption; not least the homosexual Fifth Column that has been working day and night to transform the church, and turn her into a Gay Theme Park for a One World Religion. We know Pope John Paul relied on Cardinal Joseph Ratzinger for advice and support. Laurence wrote a good blog on this which bears a second reading. It looks as if all that good work has been undone by Francis. Mediocre churches in London and elsewhere will continue to see its members fall away unless the bishops act decisively like men. Physiocrat.It is good to find a Traditional Parish so long as they are in Communion with Rome.The SSPX are in Communion with Rome but-at the moment irregular. I sent in a request asking why my comment was taken off site, and I suspect it is because I referred to Bergoglio as an 'antipope'. I would like to refer you., bones to the presentation of Athanasius Schneider has made at, I believe, the recent symposium. in Rome of Bishops who want action regarding this demon in Rome. He lays out clearly the manifest substance of why this pretender is not the pope. In light of where we are at this moment regarding the papacy I do not think that my comment was egregious. I await the Church authorities to tell us he is an 'antipope'. I know he walks like one, he talks like one etc, he acts like one, but it isn't for us to decide. 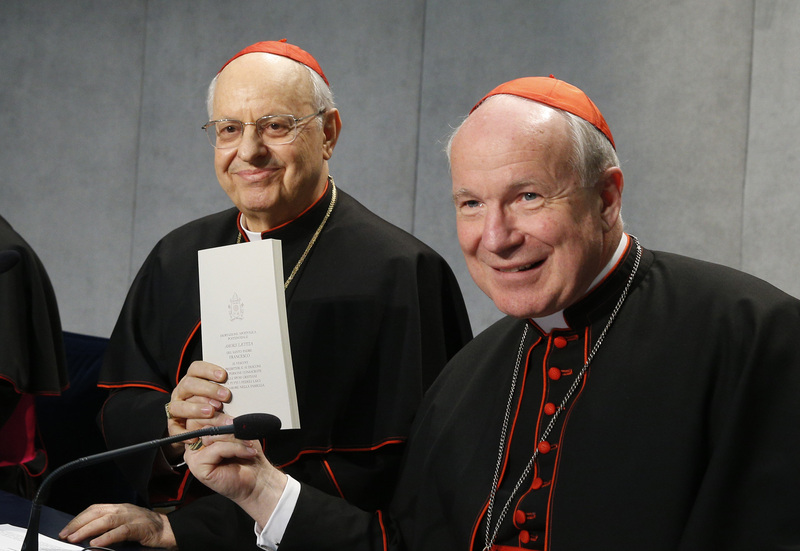 No, Bishop Schneider and ++Burke have not called Pope Francis an antipope. As you say, the Pope has disclosed to us the state of the Church and the faith and/or backbone (or lack thereof) of its most important servants and for this we should be grateful. However I remain astonished at the failure of the faithful in the hierarchy to begin to complain loud and long at what is happening. Are these men only a handful or are the mass of them too timid to proclaim the truth as their solemn vows oblige them to do? 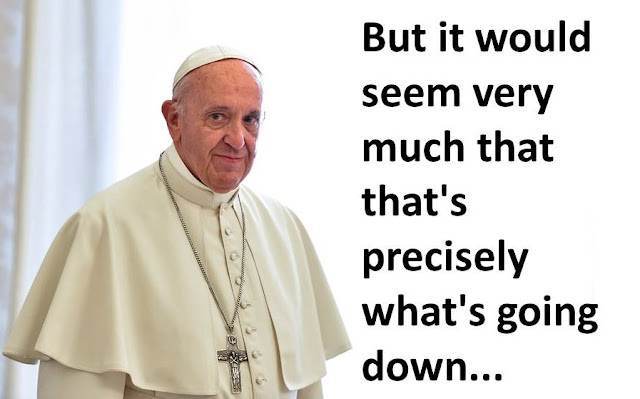 If either situation is the real one, we are in even more trouble than we thought and the Pope must be relying on this failure to allow him to see his 'reforms' through to their horrible end. Laurence, I'm just waiting for your comment about Gaudete et exultate.........thanks.